《我的世界》 adoptables I made on DA. hehehe. HD Wallpaper and background images in the 《我的世界》 club tagged: minecraft awesome zombies creeper enderman. This 《我的世界》 fan art might contain 动漫, 漫画书, 漫画, 卡通, and 漫画卡通. 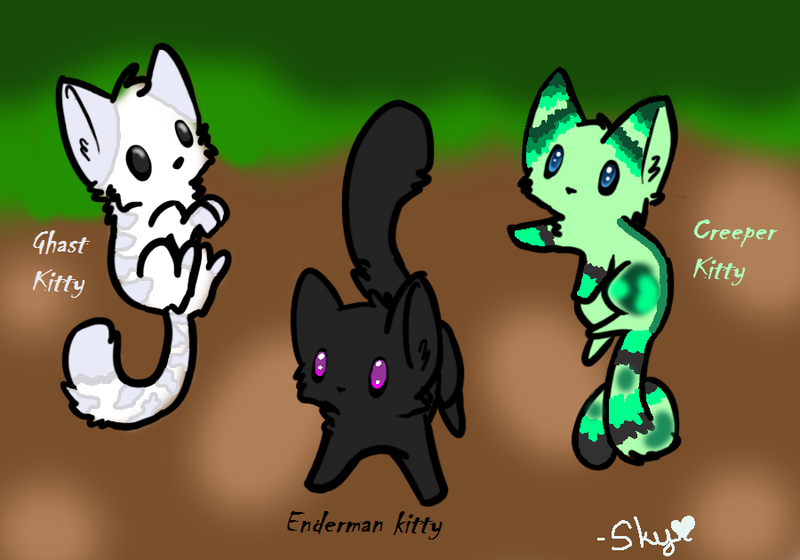 Enderman kitty is sooooooo adorable! 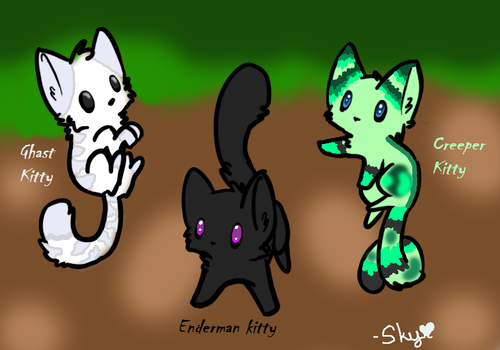 They're all so cute! I saw this on Google images but I didn't know you had done it!